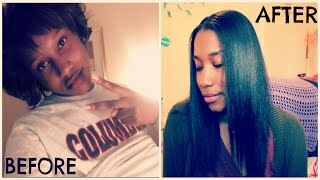 No-Lye Relaxers vs. Lye Relaxers..Who Takes the Cake? Peace.Love.Hair & All things Beautiful! Thank you so much for taking the time to watch my videos! I appreciate all the support you guys give me. Love you!! 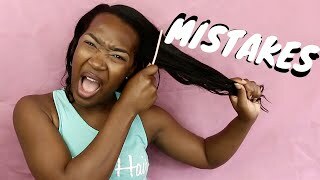 Why Your Hair Hasn't Grown Pass Shoulder Length? (Yet)! 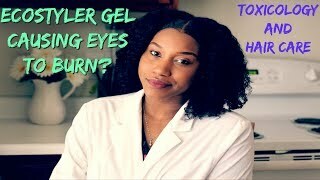 EcoStyler Gel Causing Eyes To Burn?? A Chemist Point of View! Thanks for sharing the information. The question I will like to ask is it safe or wise to switch from lye to no lye ? Hey recently relaxed my natural hair with a no lye relaxer bcuz if my bald spot. I regret it. My hair is so dry. 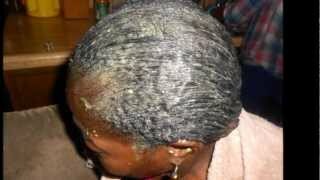 Considering using a lye relaxer. Hi Sharmaine, I'm a guy with pretty course 4C hair, so I do an "uptown fade' hairstyle where the sides are cut low but the top grows. I have been texturizing my hair with S curl texturizer for about two years but I today I decided that I wanted to try the Olive oil ORS lye based relaxer. So far both products seem to work just the same for me but would seem like the texturizer worked better with my relatively short here. 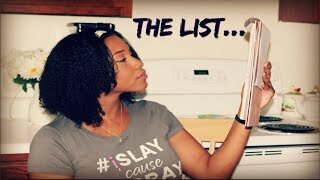 If I choose to continue using a relaxer, do you have a favorite brand that you'd recommend for short 4C ethnic hair? Thanks for the info. 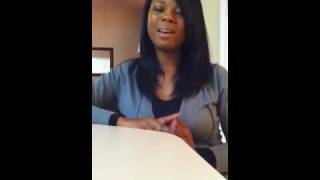 Do you know if texlaxing is better for your hair than lye relaxers? I use Summit Sensitive Scalp Crème Base when relaxing my hair. It prevents my scalp from being burned. This was posted on my birthday haha this is helpful thanks! Would a protein treatment do anything if I did the following morning if it were night-time that I applied it? I just got Silk Elements MegaSilk-Course. I'm not so sure if I need course but a no lye straightener did not keep the straightness so I want to make sure it lasts. Someone in a review for it said there is lye so I'm not sure of how to deal with that or even how strong it is compared to no lye. Thanks so much, this is just the knowledge, that I've been looking for. 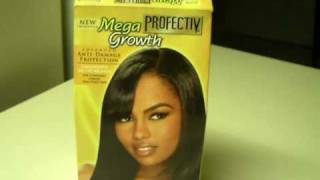 i got 0,022 hair thick and normale dark & lovely doesnt work means i have to use with lyre? what shampoo? for no-lye i didnt quiet get that. good job very informative btw lol im a guy trying to do this, no im not gay lol. Hi I'm going to relax my hair today and I want to put the protein in my hair first, Once I do that do I need to wait a long time before I go to relax my hair or I can do them both in the same day ? how did you get your hair like that? its pretty. or you can show a video. 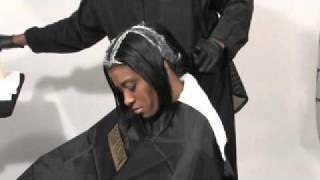 How can we switch safely from a no lye to a lye relaxer. 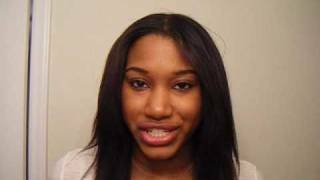 Is anything we should follow before we transition to a lye relaxer. 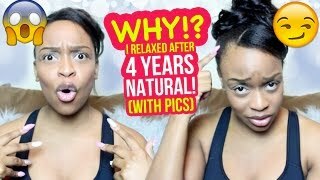 Thank you so much @sharmaine369 this helped me alot, I want to show my mom this video and try and convince her to let get a relaxer on my naps. 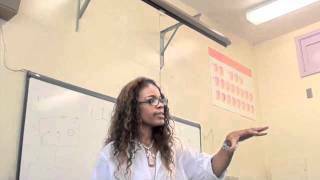 Organic Root Stimulator they have s great chelating shampoo check out there products. I like your hair ! How did you get your hair like that? 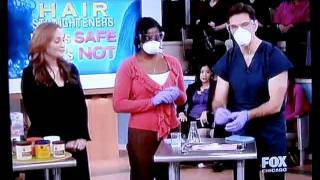 Going to beauty school taught ME about the lie In "no lye" all relaxers has lye l,the "no lye" relaxer just has a much less amount. Thank you!!! You are awesome!!! Such an informative video. You explained everything so clearly. Thank you for taking the time to share your knowledge! This video made me subscribe! Love it! I was going to make a video on this, but looks like u took it away. You really just basically said everything I was just researching, except its more interesting because a person is relaying the information. Well done! thanks to you i switch to lye and will never regret and is not harsh in the scalp if you base the scalp. i use for base evoo and liquid shea. Umm , i choose a No Lye relaxer. 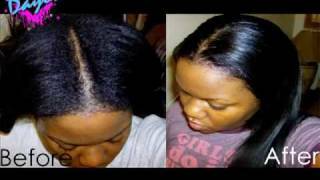 Its harsher on the hair in stead of the scalp so your hair will become much more straight. Also you really dont even have to worry about having damage to your scalp. But i do have a sensitive scalp so sometimes it does burn if i dot base it properly. But most of the time it doesnt burn. 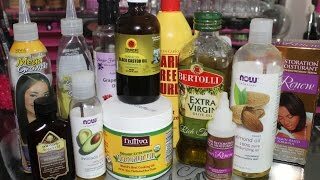 I use the olive oil extra strength because i have very very thick hair. From lye to no lye. Corrective relaxer results. 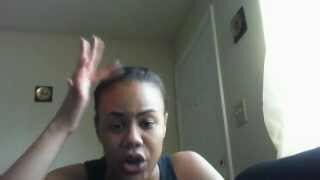 WHY DOES MY RELAXED HAIR BREAK OFF??? ?